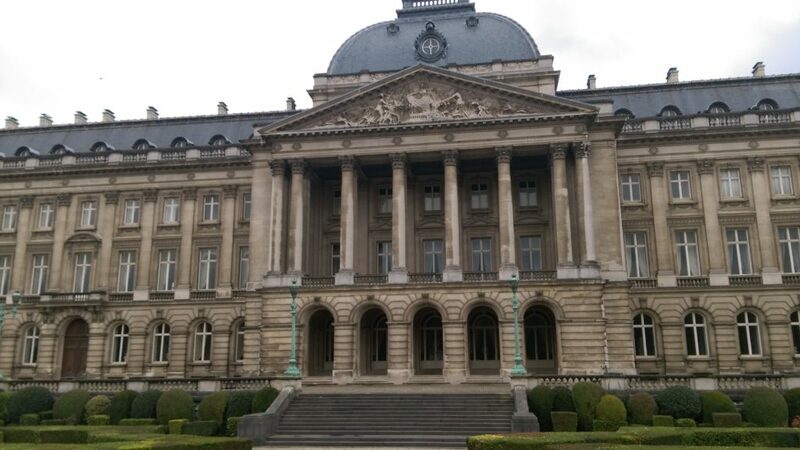 Brussels is the capital of Belgium and also an underrated cultural center. 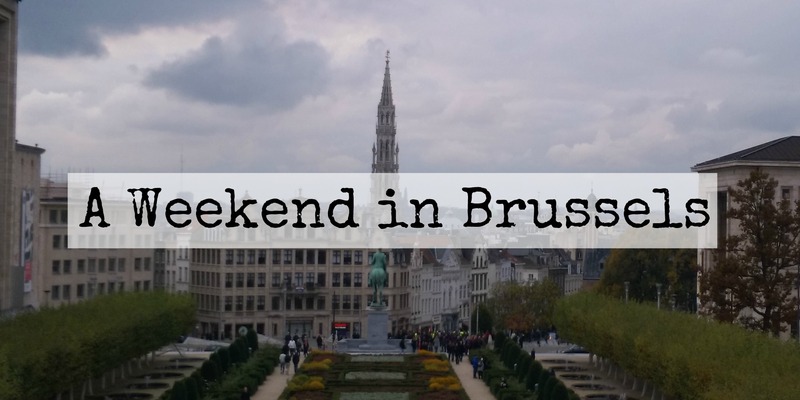 When we decided to spend a weekend there, most of our friends react with the question: “But, what are you gonna do in Brussels?” So, this post is to answer that demeaning question and hopefully show you how amazing it is. We left Berlin on a Friday, around 06:00 am and the flight there only took one hour (almost less than our way from home to the airport), and thanks to Ryanair and easyJet and their amazing sales it costed about 60 EUR both ways for 2 people. Amazing right? Getting around Brussels is pretty easy, there are trains and busses from the airport, and inside the city you can use the subway, trams and busses. It is pretty easy to plan your journey through the STIB (Brussels public transportation) website. The day ticket costs 7,50 EUR. We arrived at the Flagey station, at a friends house where we were staying and so it happens that the best fries and croquet vol au vent we tried were made right on our door, on a small yellowish kiosk called Frit Flagey. So guess what we had for lunch? Yeah!! Fries and croquet. The portions are huge and for only 2,30 EUR with a sauce of your choice. We then walked to the European union parliament, that wasn’t as impressive as we thought, we couldn’t even find the European Union sign. We kept walking throughout the city from shop to shop, filled with the best chocolate and in a variety of price range that anyone can afford. Beer is also a huge deal here, loads of beer! 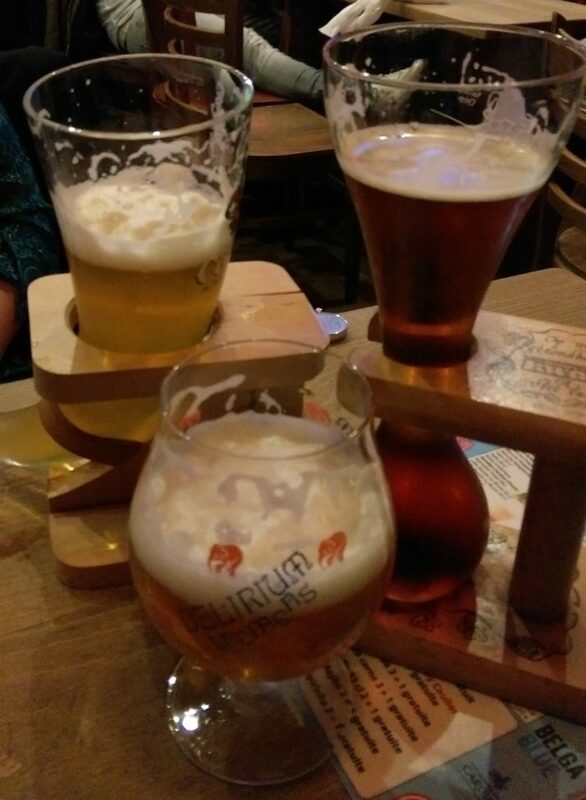 Did you know Belgium has enough beer types that you can go a year drinking beer everyday without repeating any? Imagine that! As a beer lover I would be screwed. We had dinner and some beers at a restaurant,but we ended up so tired from walking that we just had a chilled evening with friends, some beers and chips. We were also surprised with the beer prices, which we found to be extremely expensive on the supermarket compared to Germany. On Saturday, we woke-up a little later than expected, but still early enough to catch the Flagey saturday market and experience the food and treats like cashews and sausages. Luckily the weather was sunny and warmish, which doesn’t seem to be the usual in Brussels. 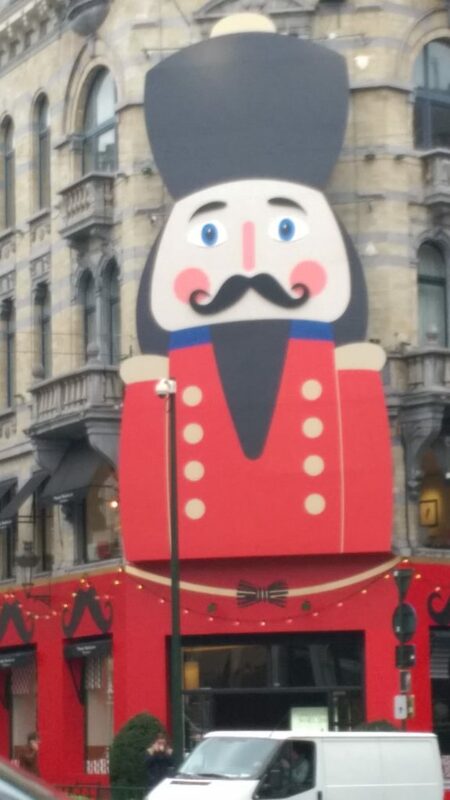 We then headed to the main square, or Grand Place, to catch our so beloved Free Walking tour. 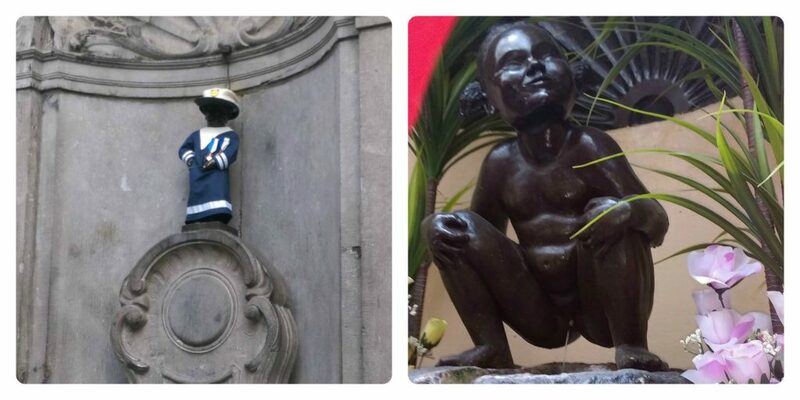 Our guide showed us all the corners of the city center passing in front of the Beer Museum, the Manneken Pis and his hidden sister Jeanneke Pis, chocolate shops, churches and all the spots to drink the best beer and eat the best fries. This time our tour was with Vivas Tour. They have daily tours in english and spanish, just look for the orange umbrella. Before I forget I have to talk about the most incredible thing in Brussels… The Waffles! It is the best waffle you will ever have, but don´t get tricked into eating the normal waffles sold to tourists with 3.000 toppings. Get the normal ones (I don’t have a picture because I ate too fast), you can get them fresh out of the pan, caramelized and amazing, for only 1 EUR in the shops next to the little peeing boy (Manneken pis). Our time in Brussels went by so fast, and it was already time to go home. We had one last beer with our friend and headed to the airport. Security is crazy there due to the attacks that happened in the city this year, which is understandable, so you have to cross a police check as soon as you get out of train and the usual one before you board the plane. There are heavily armed policemen all around, it makes you feel safe and scared at the same time. Also our plane left around 10pm and by that time there was nothing open at the airport, even the restaurants were closed, we were lucky to even find a sandwich somewhere. At the end, it was an amazing weekend, and we had loads of fun, learned a lot about the Belgian culture and would definitely come back for some more waffles, and most of all I would wholeheartedly recommend the visit! 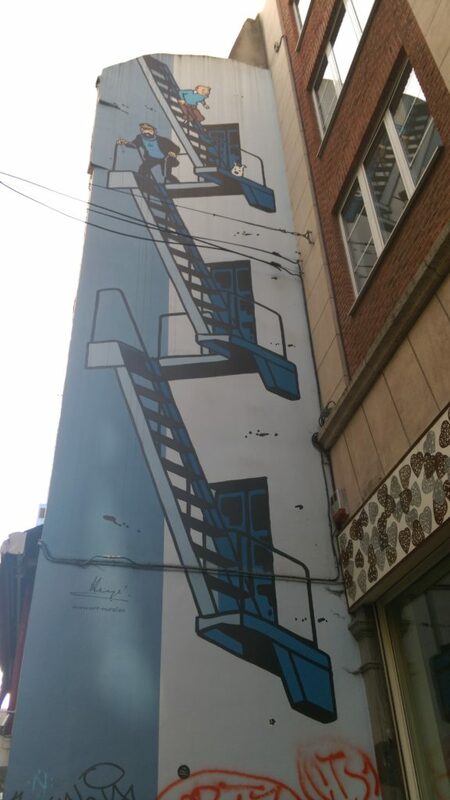 Have you ever been to Brussels? How did you enjoy it?